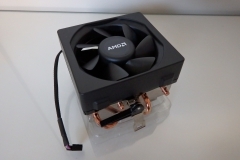 Home Hardware Reviews Cooling AMD Wraith Cooler: Best Stock CPU cooler yet? 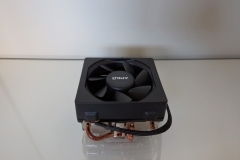 Finally, a stock CPU cooler worth using. 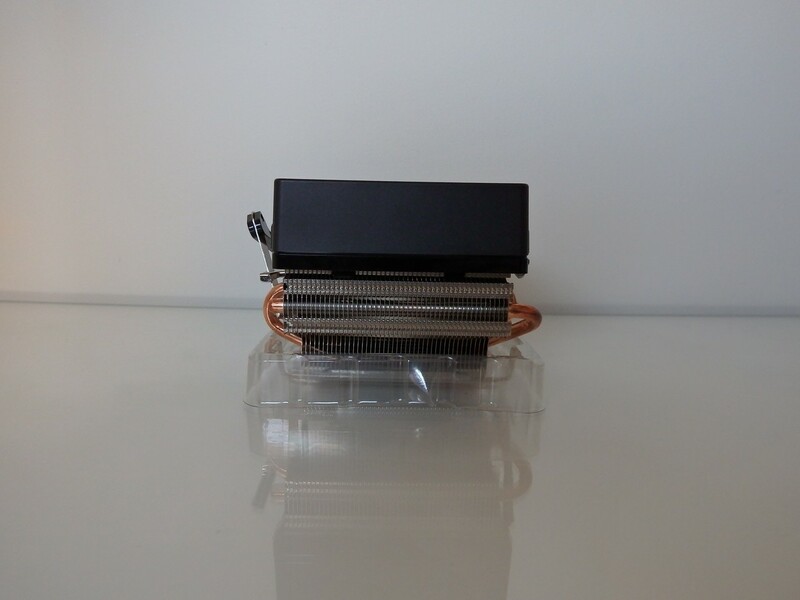 It’s not as quiet as a Noctua but it’s the best stock cooler we’ve ever seen and when you use the AMD Wraith in a case with decent airflow it can really shine. Stock coolers come ‘free’ with the CPU and their only job is to keep the CPU cool enough for it to run at the rated frequency and voltage. They are generally louder and less effective than the aftermarket coolers which is why the options for dedicated CPU coolers is so big. 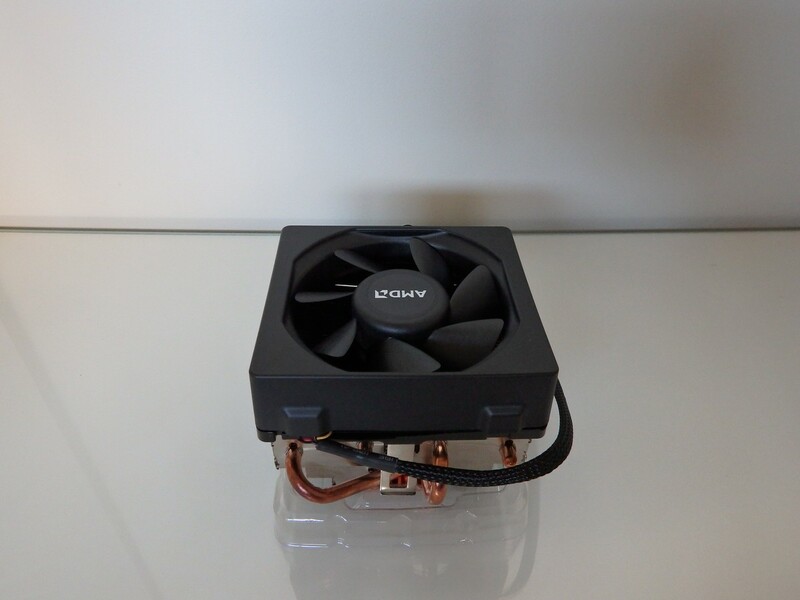 AMD stock coolers were probably regarded as the worst with their loud fans and inefficient design. 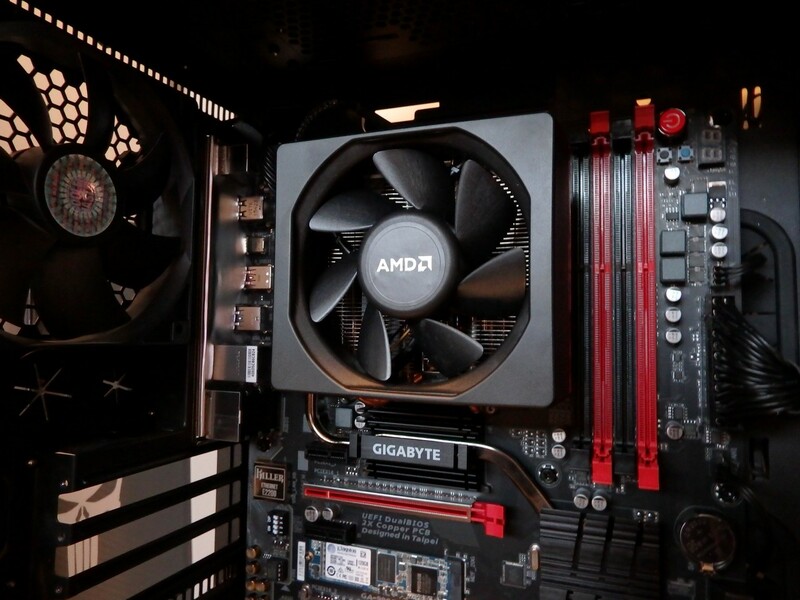 This is where team Red goes from ‘Zero’ to ‘Hero’ with the Wraith cooler. Let’s look at those points. 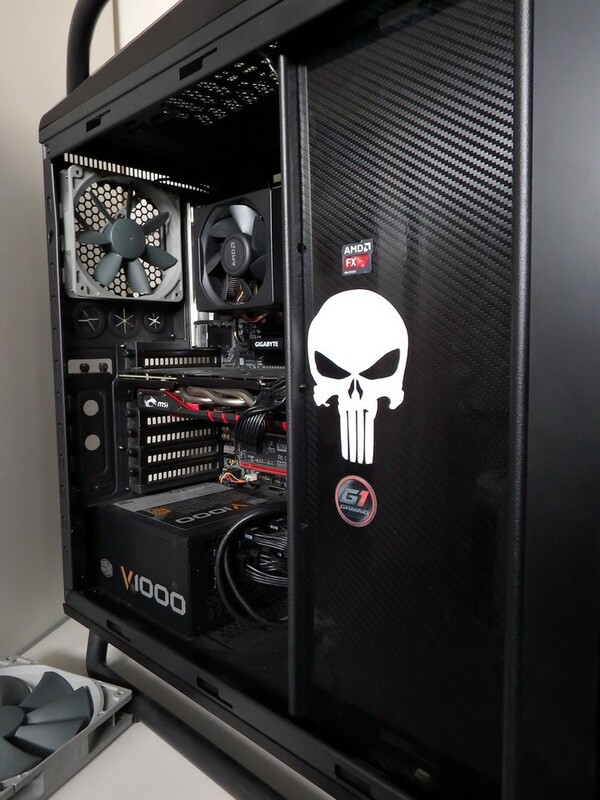 Rated at 39dbA, this should blend in with most graphics cards and power supply fans in a closed case. When you add a high speed hard drive to the mix and a couple of case fans it should be impossible to pick out the CPU fan if the 39dbA is accurate. 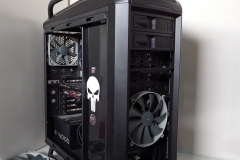 The Wraith is bigger and has a more powerful fan than the previous cooler yet it makes less than one-tenth of the noise. This claim got my attention when AMD first announced the Wraith. 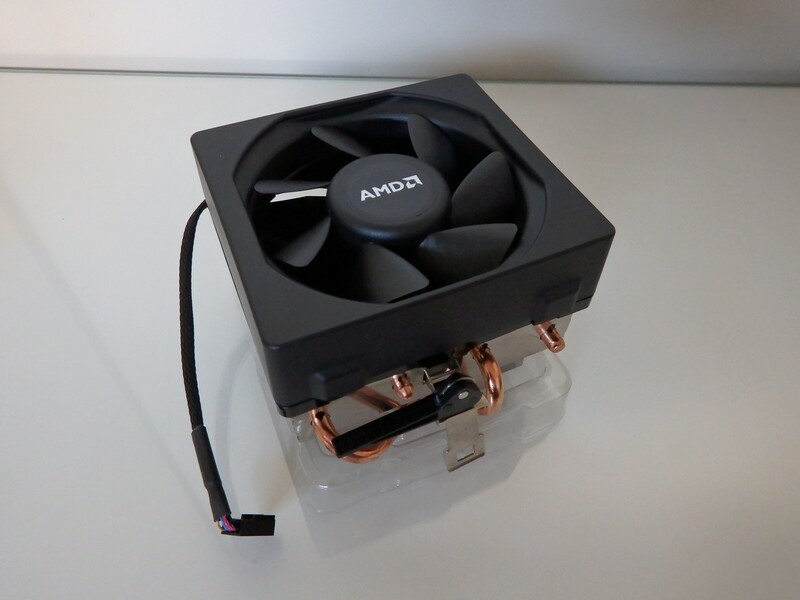 Firstly, it acknowledges that the old cooler was a shocker but rather than improve it with a tweak, AMD has redesigned it so that it’s actually useful and something that people might want in their rig. 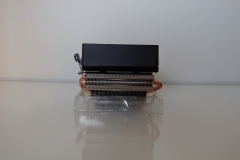 The mounting mechanism is the same as the previous stock cooler with the lever clip design. The Wraith comes with pre-applied thermal paste and although it was tempting to wipe it off and slap some Noctua NT-H1 on the CPU, we left the unit as it was and used it as intended by AMD. Idle temperatures for the CPU package were reported as low as 18°C but also hovered around the low 20°-24°C mark. The ambient temperature for all testing was a stable 20°C. 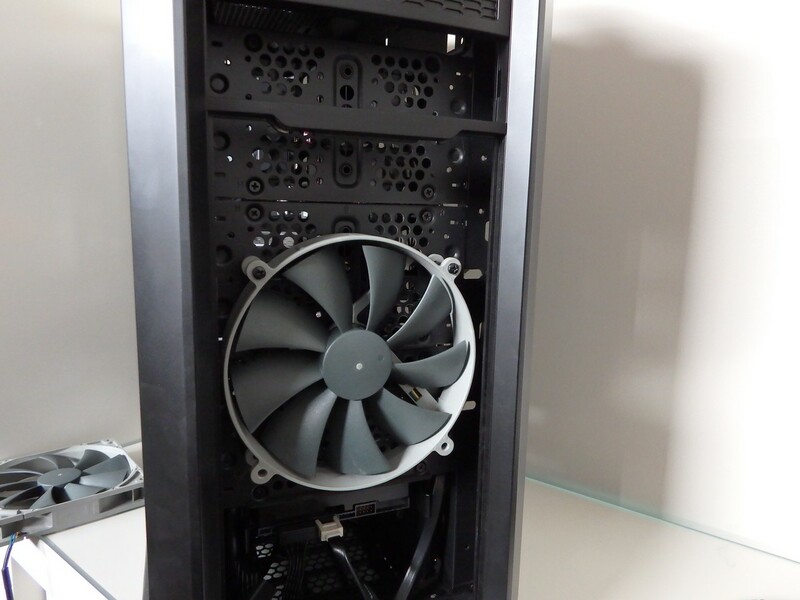 The Cosmos SE was configured with a single rear 120mm fan and dual 120mm intake fans. 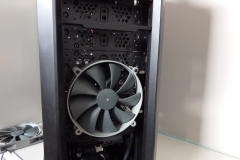 The top/roof of the case was left as a vent without any fans installed. Our CPU was overlocked to 4.5GHz for a mild boost – done via the Gigabyte software as many less confident overclockers might do. CPU load testing involved hanbrake encoding for over an hour. This left the CPU doing all the work and the GPU stayed idle so as not to impact the ambient internal temperature as much. With this load, we observed the CPU hitting 53°C which is a good result for sustained load on an overclocked CPU with a stock cooler. The noise level was impressive – the decibel meter registered about 22dbA when sitting directly next to the PC. The PC itself was audible but not loud although it was slightly louder than when the system was at idle. Idle fan speed was recorded at ~1500RPM in what we would call barely audible. Under load, the speed went up to ~2200RPM which was certainly audible but not offensive and the pitch was moderate and blended into the ambient noise of both the system itself and the room generally. 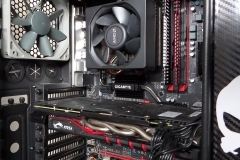 Game testing involved Battlefield 4 and The Division as both of these games seem to press both the CPU and GPU which is important for real world testing as the GPU will increase the ambient temperature. 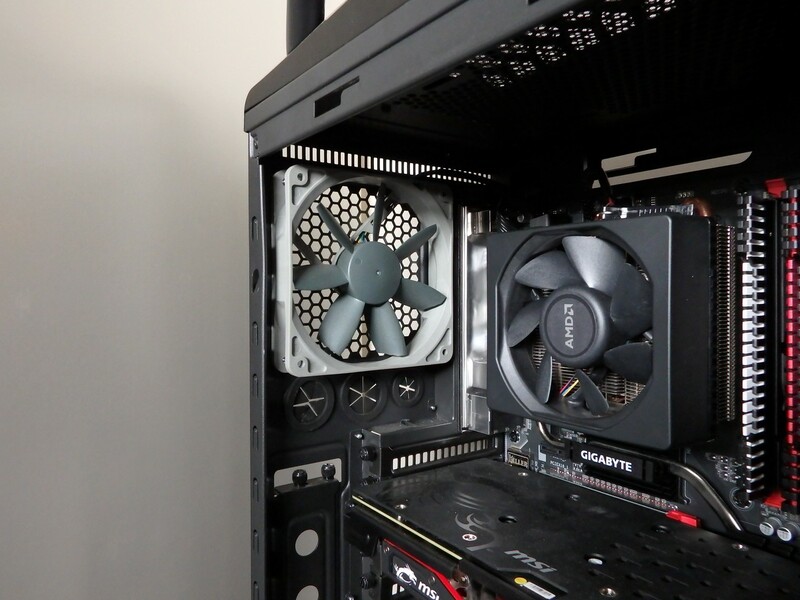 The Twin Frozr V on our MSI card dumps most of the warm air into the case which results in the CPU cooler having to work that little bit harder unless the active airflow of the case fans is spot on. Gaming testing saw a maximum temperature of 66°C with both the FX 8350 (@4.5GHz) and the MSI R9 380 basically fully utilised. The Decibel meter showed a minor increase in the system noise outside the case, registering 23-24dbA immediately next to the case but when placed 50cm away from the PC on the desk, the decibel meter struggled to register above ambient, peaking at only 20 from time to time in an otherwise quiet room. After completing the testing, we looked at the airflow and decided to make some changes. 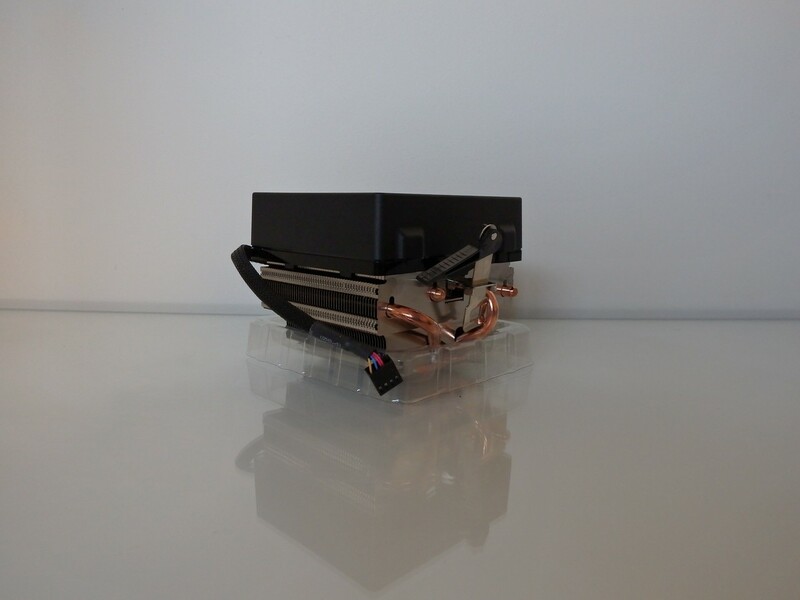 As per the original build log, there were some Noctua Redux fans in the lab from a previous review. 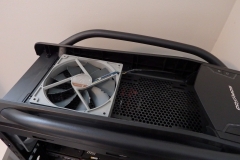 Although there was nothing wrong with the Cooler Master fans that come with the Cosmos SE, the temptation to rejig the airflow was too great to resist. 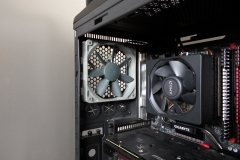 This change of airflow with a greater focus on exhaust made a big difference and brought the CPU temperature down to 60°C (often up to 3°C lower) when gaming. 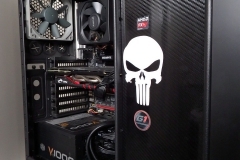 After publishing the AMD Test bench build log, we received a few questions about the Wraith and this seems as good a place as any to answer them. Is it silent? No but it we’d consider it the most quiet stock cooler we’ve seen when under load. Is the LED bright? No, you can see it but it isn’t bright or distracting. It’s unlikely to impact on the aesthetics of any build. Does it have a backplate? 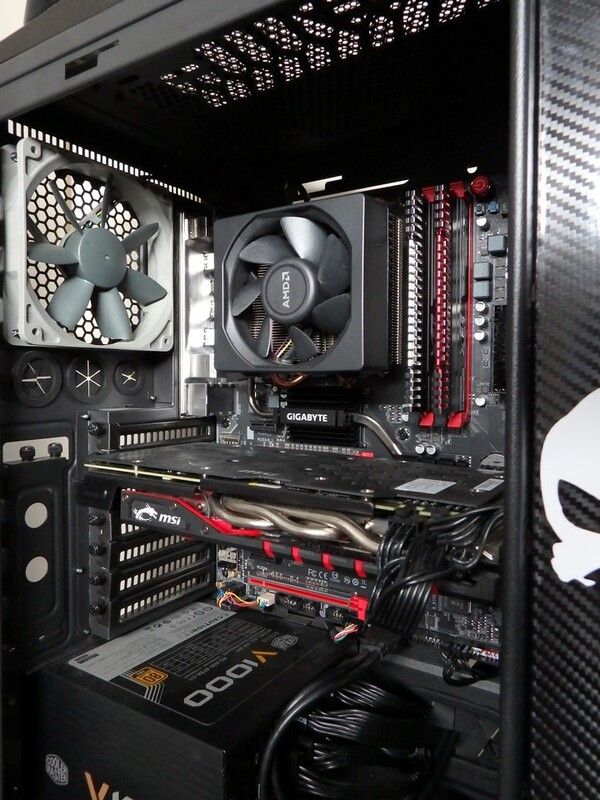 It uses the same mounding system as the previous stock cooler so the backplate comes with your motherboard. 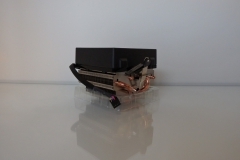 The Wraith is being bundled as a stock cooler and it doesn’t cost $75 or more like a quality after-market CPU cooler. It isn’t going to give you the same result as a premium product like a Noctua cooler. 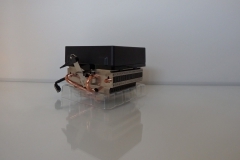 Given that the Wraith makes one-tenth of the noise of the previous stock cooler, can be attached to the motherboard in seconds without the need to change out a back plate on the CPU and the obvious bonus of it being bundled with the CPU, this is great news for gamers and system builders. Kudos to AMD here for truly adding value to the high end CPU range with this cooler. The money some gamers will save on a cooler would be better used on a larger SSD or better graphics card. 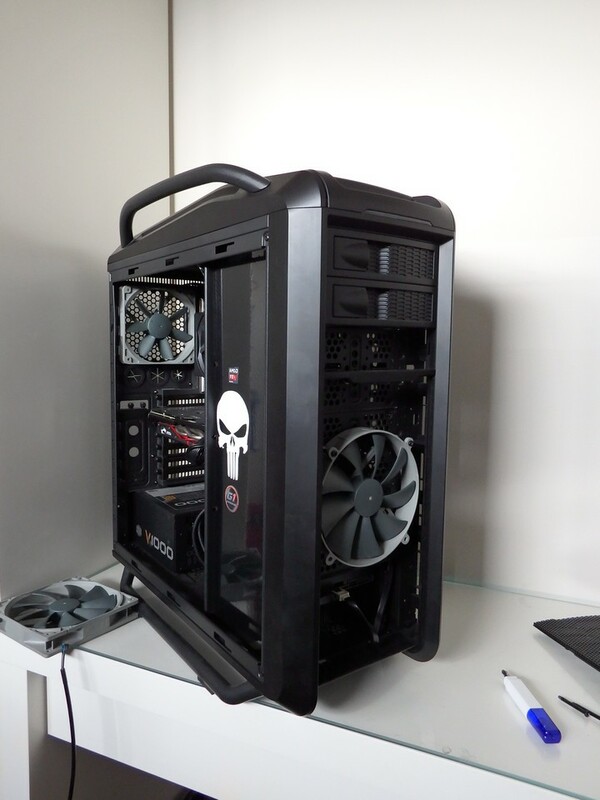 To really make the most out of the Wraith (or any CPU cooler for that matter) is to also look at your case airflow. 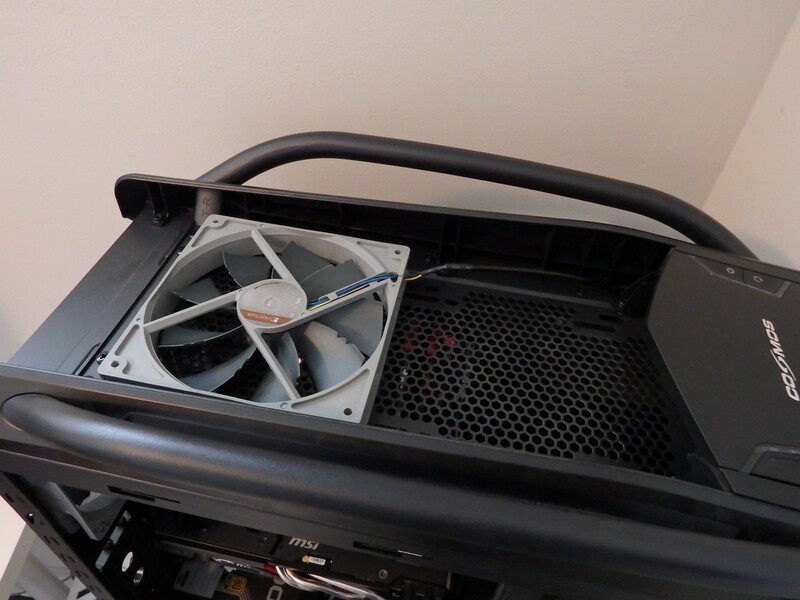 Make sure that the warm air has some help getting out of your case – you don’t need a tornado but some constant low spinning fans can help out that CPU cooler by reducing the ambient case temp a bit. Personally, I strive for silence with my PC builds and will continue to invest in premium CPU cooling solutions. That said, the Wraith is quiet, effective and a fantastic value-add. AMD should be applauded here for giving something back and taking on the stigma of ‘Stock’ CPU coolers.